After years of taking allopathic medicines I significantly suppressed my immune system. Since going on my wellness journey and studying holistic nutrition I have learnt different techniques to help support and improve my immunity. Low immunity is something I struggled with for years and I can now finally say I have hit this one on the head and feel healthier and more energetic than ever. The immune system is a complicated and intricate system, it is responsible for deciphering safe and unsafe pathogens and regulating inflammation in our bodies. It's the body way of protecting itself against bacteria, viruses, cancer and other illnesses. There is no magic key to creating a strong immune system, however more and more research is highlighting the impact our diet and environmental exposures have towards maintaining balance within our body's immune system. 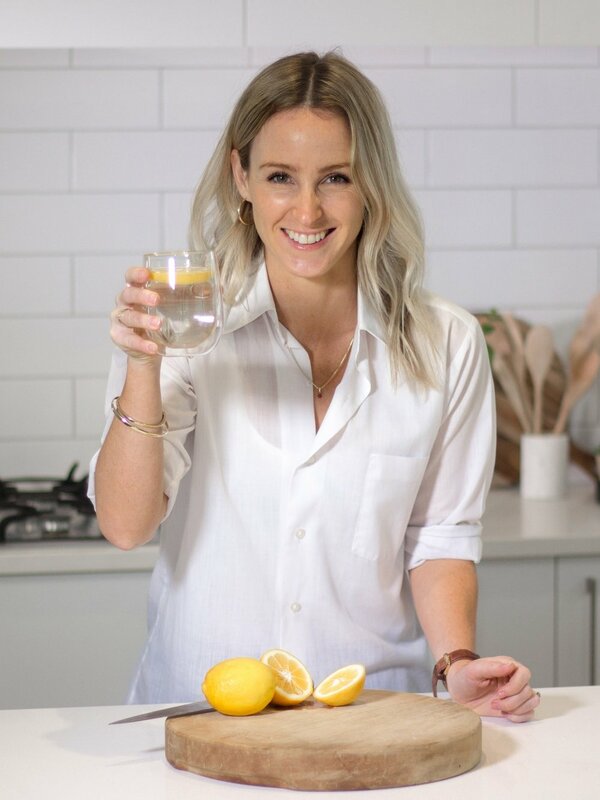 As we are in the brunt of winter and many people are coming down colds and flu's I thought I would share with you a few strategies that I have implemented into my life to help support my immunity. Eat real foods - lots of fresh vegetables, fruits, nuts and seeds, these will provide your body with the nutrients your immune system needs. Increase healthy fats - Eating foods rich in omega-3 fatty acids such as oily fish and flaxseeds. A good quality fish oil supplement also has many benefits. Increase dietary protein - Your immune system is made up of proteins and relies on new protein synthesis to function properly. Protein is composed of amino acids which your body needs for growth and repair, some amino acids are particularly important for immune functioning. Increase vitamin C and zinc - these are both great immune boosters. Vitamin C can be found in fresh fruits and vegetables such as capsicum, broccoli, brussel sprouts, lemon, green kiwifruit and berries. Foods high in zinc are oysters, beef, lamb and pumpkin seeds. Sleep more - Sleep deprivation activates a stress response, depressing immune function and elevates inflammatory chemicals. 7-8 hours a night is a must! Stress less - Stress puts so much pressure on your adrenal glands, forcing them to pump out stress hormones (cortisol and adrenalin) which suppress the immune system. Incorporating deep breaths, meditation or yoga to reduce stress can be very effective. Consume friendly bacteria - Beneficial micro-organisms settle in our intestinal, upper respiratory and lower urinary tracts. These guys out-compete the 'bad guys' and improve immune function. Probiotics are a great way to go, otherwise consuming live-cultured foods such as kefir, kombutcha, sauerkraut or yoghurt. Catch some rays - 10-20 minutes a day (no sunscreen and preferably a large area such as your stomach) can do wonders for your health. Vitamin D plays a number of roles in promoting a healthy immune system. Move your body - Exercise enhances immune function , just 30 minutes a day helps strengthen your virus-destroying T-cell (a type of white blood cell known to guard the body against infection) and antibody response. Eat raw garlic and ginger - raw garlic is a great immune booster and is antiviral, antibacterial and rich in antioxidants. Ginger has natural anti-inflammatory properties. I like to add raw garlic into home-made dressing to disguise the flavour. Avoid alcohol, sugar and white floured products - these all impair immunity. Drink at least 2 liters of water a day - filtered if possible. Laugh more and smile - laughing decreases the amount of stress hormones in your body while increasing a type of white blood cells which helps fight off infections. Smiling makes your body think it's happy which can in effect boost your mood and immunity!